The last of his kind. 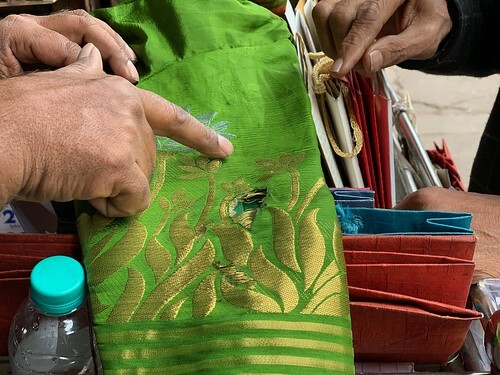 He first learnt rafu—the noble art of darning—from his father, who in turn was taught by a master. 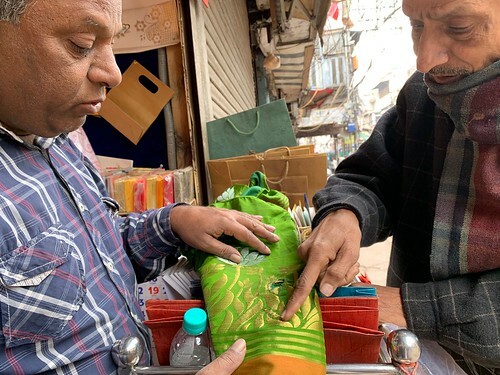 Even so, Sajid Suhail, Chawri Bazaar’s only full-time rafugar, sincerely hopes his three children will take up more lucrative professions. 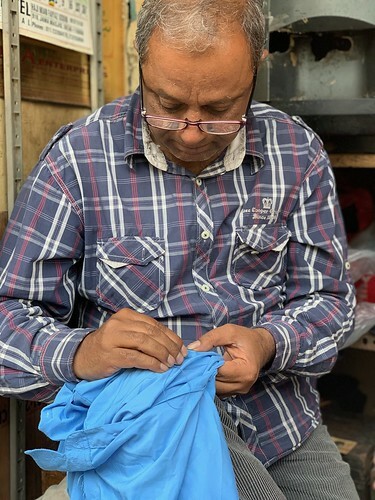 “I’ve been restoring torn clothing for some 30 years but, alas, so few customers these days,” sighs Mr Suhail, 50. Ready-made clothing is now the norm, while the very notion of nifty tailored outfits has almost vanished. Another difficulty is the location of his small shop in Chawri Bazaar in Old Delhi. The area was always a bustling market but it also used to be residential, and now over the years many families have moved to distant suburbs. The darner has lost a number of customers over the years. 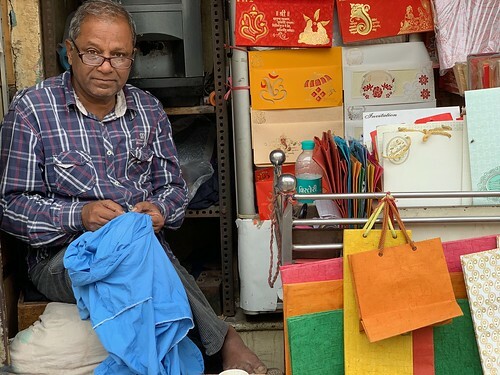 To keep the enterprise afloat, Mr Suhail has not only installed an instant coffee machine but has also started selling wedding cards, a popular Chawri Bazaar commerce. While awaiting the day’s first customers, he speaks elegantly in chaste Urdu, and also demonstrates the marvellous gift of mimicry. One moment he illustrates the diction of karkhandari—the city’s street lingo—and the next instant reverses into the language of bygone nobility. 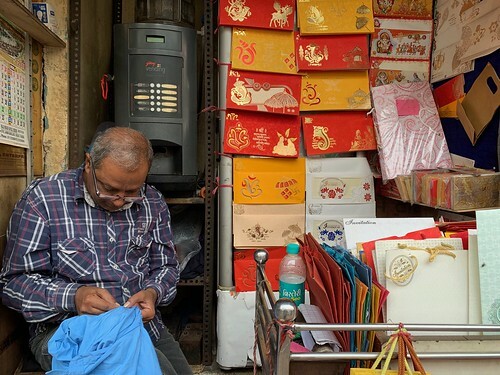 His first customer now approaches his little shop all bedecked with wedding cards. She’s not in the least interested in them. Instead the lady presents Mr Suhail with a sari with a nasty burn mark. She wants it mended. You may meet the polite rafugar or get your fabrics darned by him at his shop in 712, Chawri Bazaar. Open daily from 9am to 7.30pm. i wish someone chronicles Ahmedabad as you do Delhi. Love your work. Keep doing it.